Well, maybe not exactly a celebrity as in the pop culture, rich and famous, notorious kind. But she did just receive a VERY cool award. So I wanted to use this opportunity to tell you about my awesome roomie :). 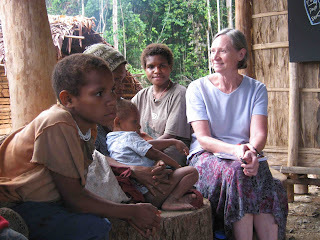 Dr. Becky Morsch and I have been rooming together ever since I moved to PNG four years ago. We actually met each other more than 10 years before when we were both attending school at Loma Linda University--I was working on my M.P.H. and Beck was doing her residency in preventative medicine. We became fast friends as soon as we figured out that we were both Nazarenes planning on careers in missions. 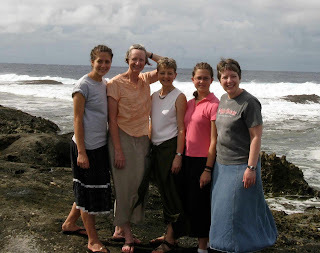 Little did we know that a decade later we would be sharing a house in PNG! Beck is a missionary doctor, but she doesn't work in the hospital or see patients. 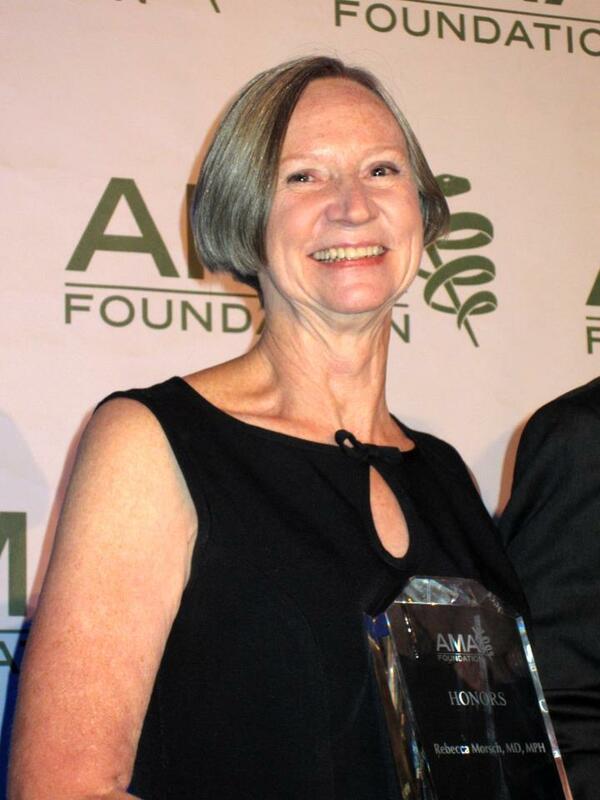 Her specialty is Community Based Health Care. Basically, she teaches entire villages how to be healthier and prevent illness so that people don't get sick in the first place. The training includes topics such as hygiene, clean water, sanitation, nutrition, first aid and simple medical care, village birth attendant training, community development, and so on and so forth. Her job has taken her to the most remote areas of PNG, the Solomon Islands, Vanuatu, and Fiji. I have had the opportunity to travel with Beck on two of her CBHC trips. The first was to Vanuatu in early 2010. And this past summer we conducted a VBA training course for the Hewa people. What a privilege it has been for me to be apart of this amazing ministry! "To all our friends at Kudjip Nazarene Hospital, Becky's presentation tonight was superb. She humbly accepted the Dr. Nathan Davis International Award by thanking each of you, stating that each of you is more deserving of this award than she is, but that she was willing to accept it on your behalf." Congrats, roomie! We are all so very proud of you. Awesome news!! Congratulate her for us. The posts on the Nazarene web sites are great as well. Thanks for sharing!